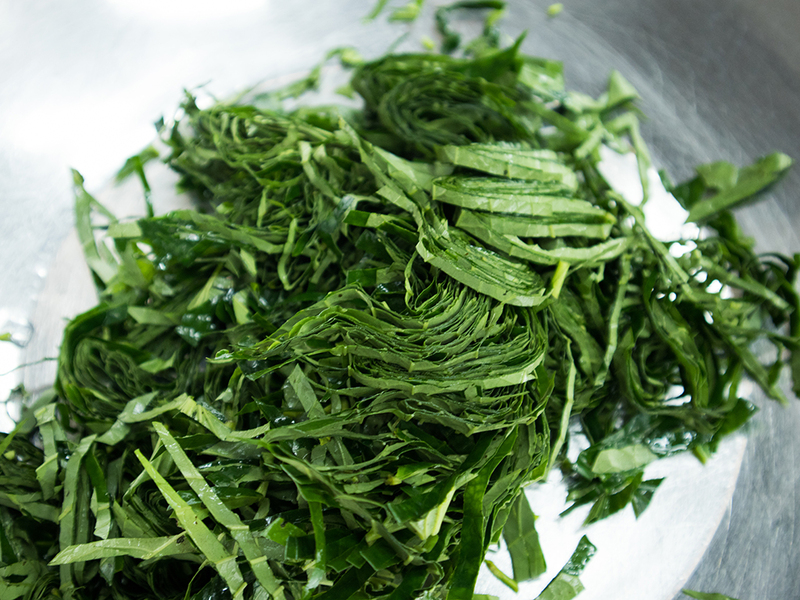 Inhale the divine scent of tapioca shoots and herbs in sambal tempoyak! Imagine this: you’re hungry. There’s a steaming plate of freshly cooked rice in front of you. Out comes a bowl of tapioca shoots and herbs in sambal tempoyak aka pucuk tempoyak. Your nose immediately picks up the scent. Your mouth starts watering. You can’t wait to dig in. 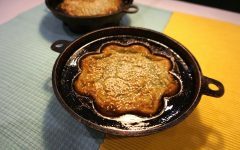 But place this dish in front of those not in the know (or certain TV food judges) and they might be hesitant to take a bite. Pray, tell, what is this dish of wilted tapioca shoots? Everything looks overcooked. And what is that offending smell??? Oh yes, tapioca shoots and herbs in sambal tempoyak definitely qualifies as an ‘ugly delicious’ dish. 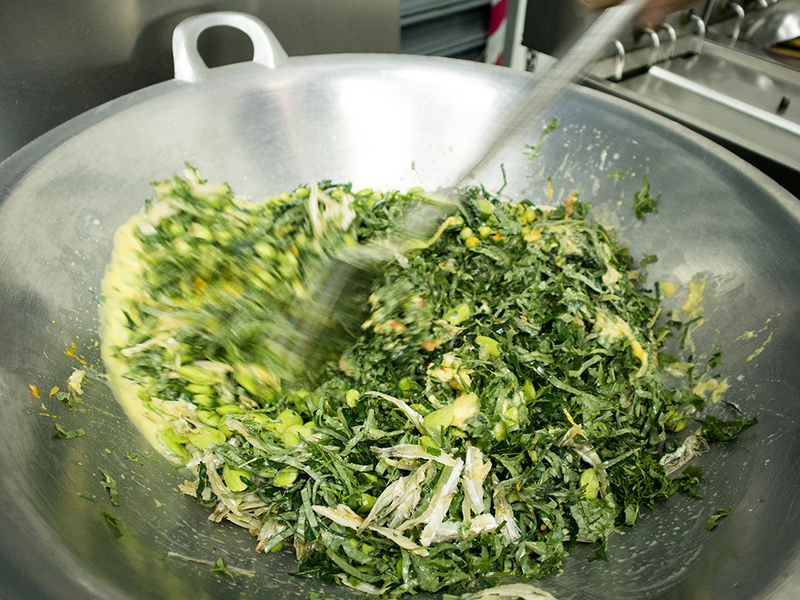 Everything is cooked until it fits into one of two shades on the olive green spectrum – dark, or light. 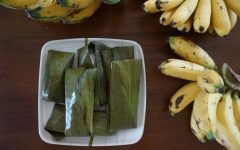 That tempoyak, well, it’s still an acquired taste even amongst local food connoisseurs, but those who love this pungent ingredient made from fermented durian will undoubtedly worship the ground you walk on if this makes an appearance on your dining table. And that makcik cerewet who swears no one cooks better than her? Well, she’s going to be super impressed. 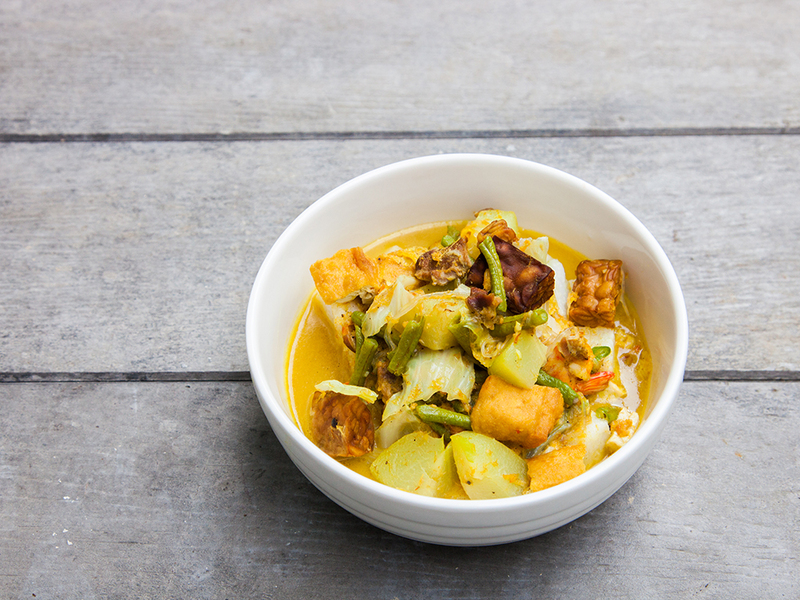 Even though this dish requires about an hour of cooking time, the act of cooking tapioca shoots and herbs in sambal tempoyak is not particularly difficult. In fact, it doesn’t even require that much attention despite the long cooking time, thanks to the use of low heat. The occasional stir to mix everything up every 10 minutes or so is more than sufficient. But if you think you’re getting off easy, well, we have to burst your bubble a little. 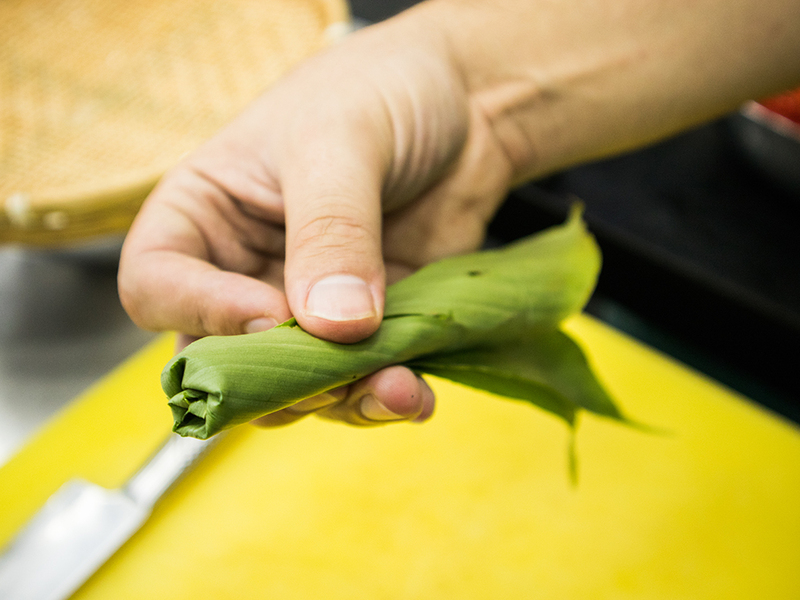 Four types of leaves are used in this dish – tapioca shoots (pucuk ubi kayu), turmeric leaves (daun kunyit), wild pepper leaves (daun kadok) and Vietnamese coriander (daun kesum), all of which needs to be chiffonaded to around 3mm wide. That means a lot of cutting. 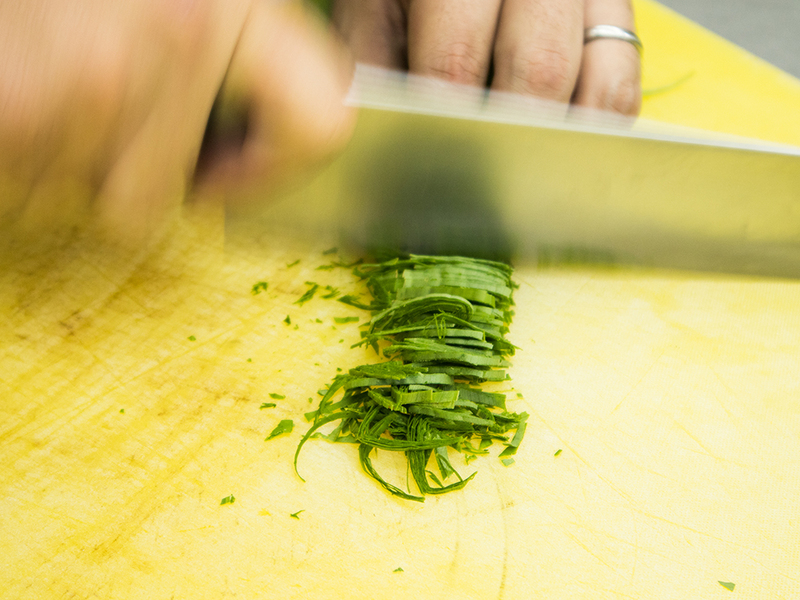 This may take awhile if you’re not equipped with professional-level knife skills. Furthermore, one glance at the list of ingredients may make you a little hesitant. 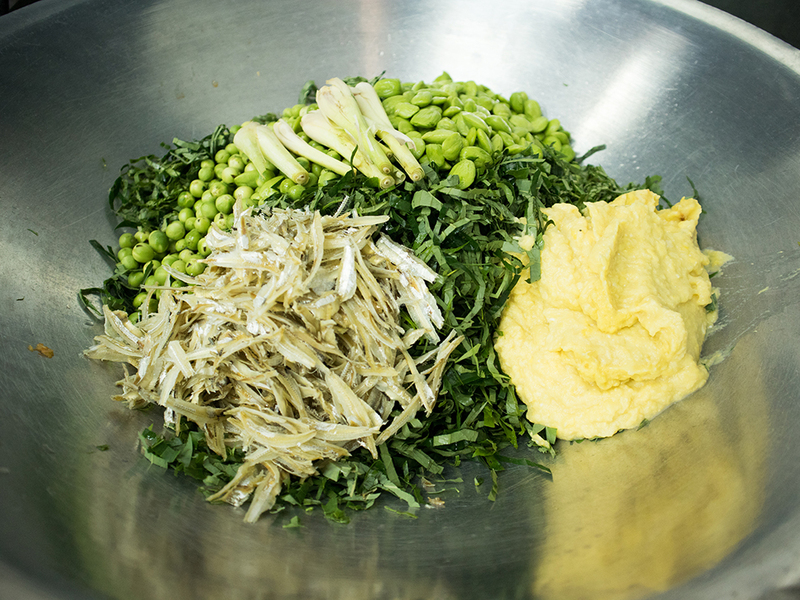 Clocking in with a list of about 17 ingredients, this dish may come across as requiring more effort than it’s worth. Trust us, though, if you’re a tempoyak-loving soul, this dish is absolutely worth the time it requires to prep. 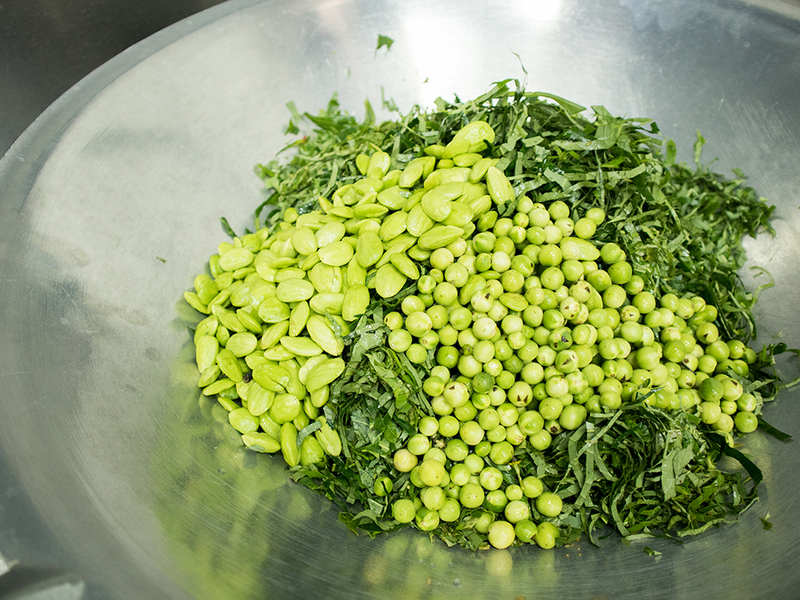 And if you make it in bulk, it’s even freezer-friendly once allowed to cool thoroughly. Also, feel free to use readymade tempoyak. We did. But you can make your own and more props and power to you for that. 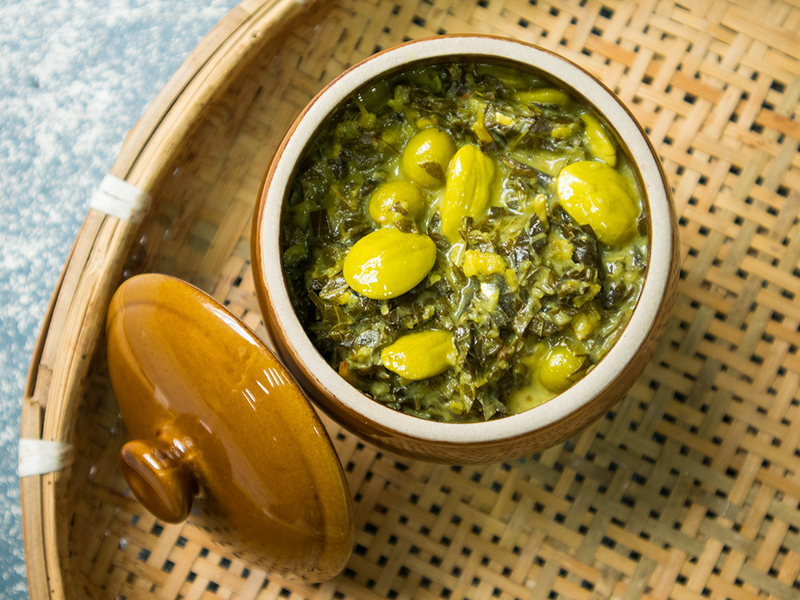 Tapioca shoots and herbs in sambal tempoyak is quite a special dish, so prepare it when you know you have a whole bunch of people around to appreciate it. It’s great for breaking fast, as part of your Hari Raya spread, or any gathering of family and friends featuring a spread of local delicacies. 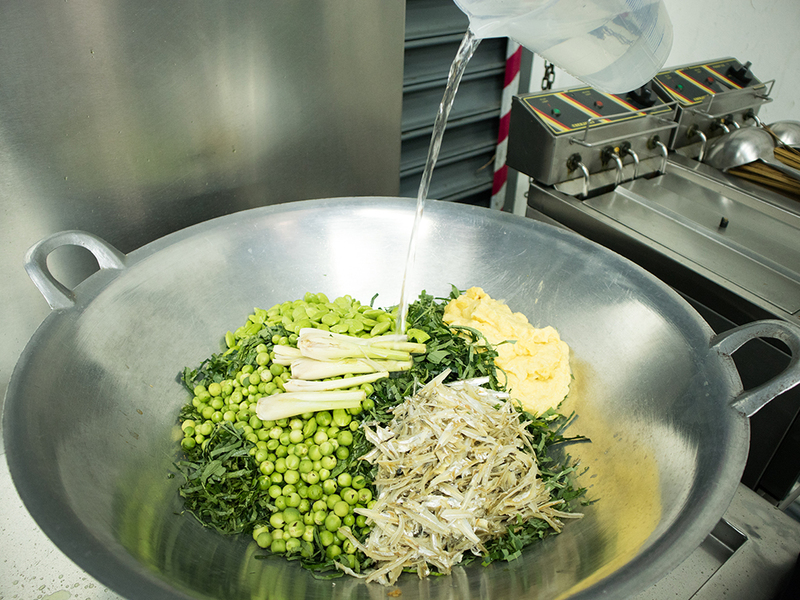 Remove the stems from all four leaf types then give it a good rinse, shaking off all excess water. 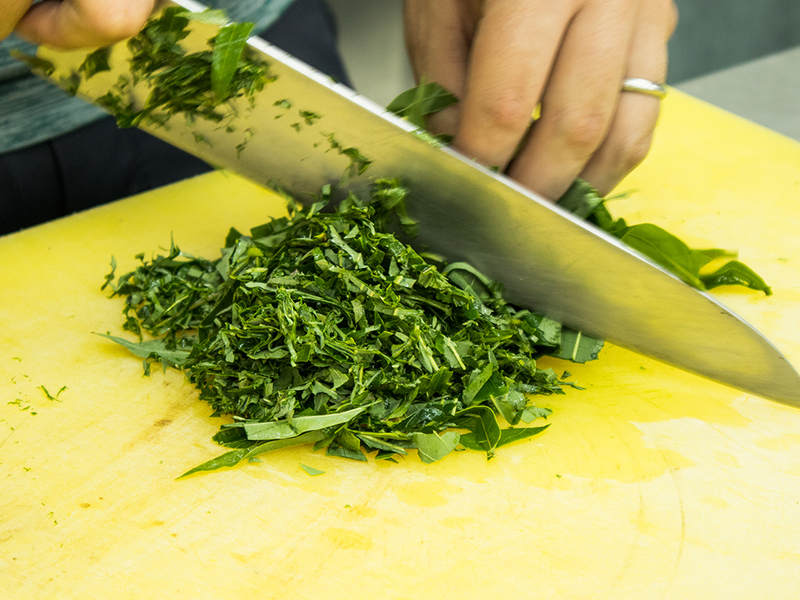 Get a sharp knife and chiffonade your leaves about 3mm wide. 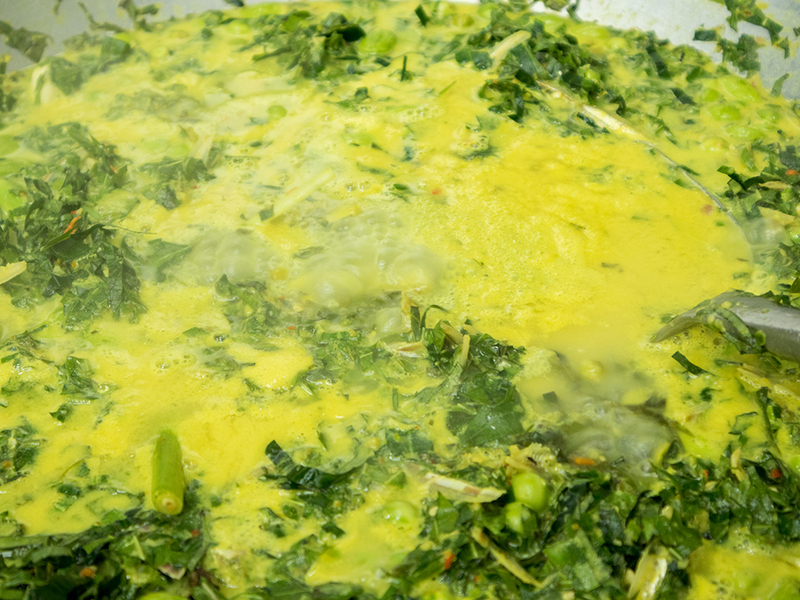 The best way to chiffonade daun kadok (wild pepper leaves) is to lay them on top of one another in a thick pile, and then fold them in half along the spine. Chiffonade accordingly. 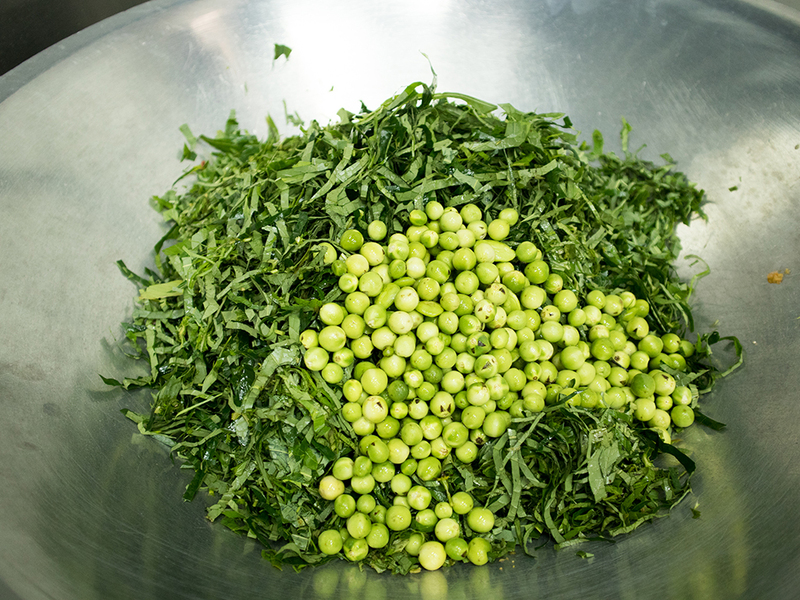 Vietnamese coriander and tapioca shoots are smaller, so bunch them off to chiffonade. Lay leaves on top of one another starting with the largest leaf at the bottom and the smallest leaf on top. 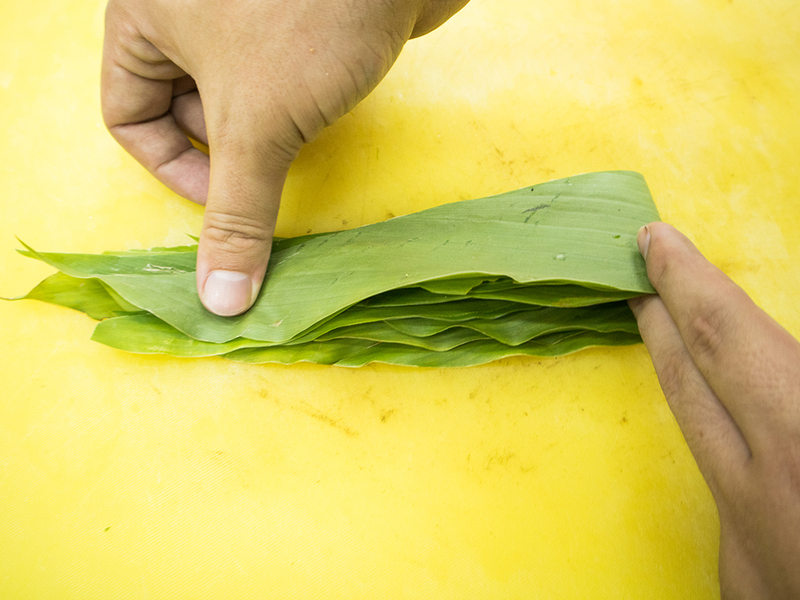 Fold the leaf in half, against the spine. Roll it tight like a cigar. 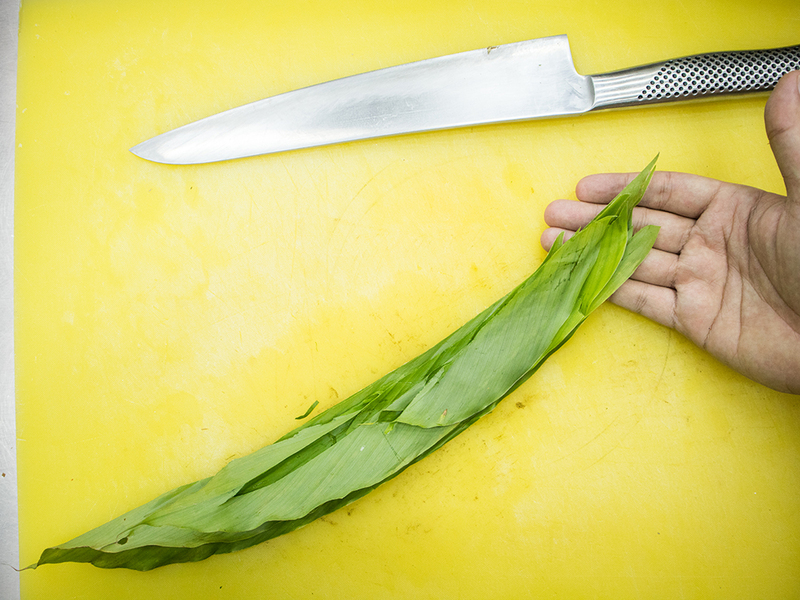 Bash lemongrass stalks with the flat of a knife or pestle. Blend onions and cili padi until coarse. 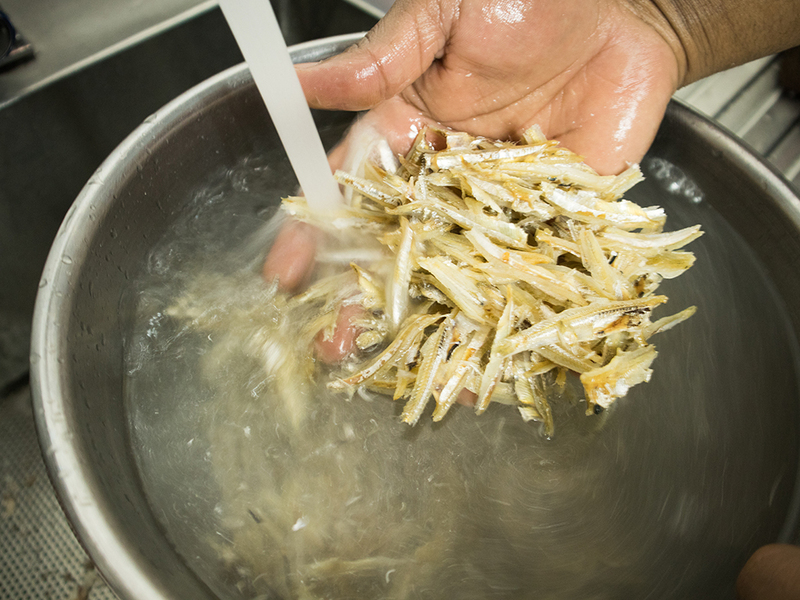 Rinse anchovies and toss to remove excess liquid. Set a large wok on your stove. Do not turn on the fire yet. First, pour in blended onions and cili padi. Next, add in all the chiffonaded leaves. In goes the terung pipit. 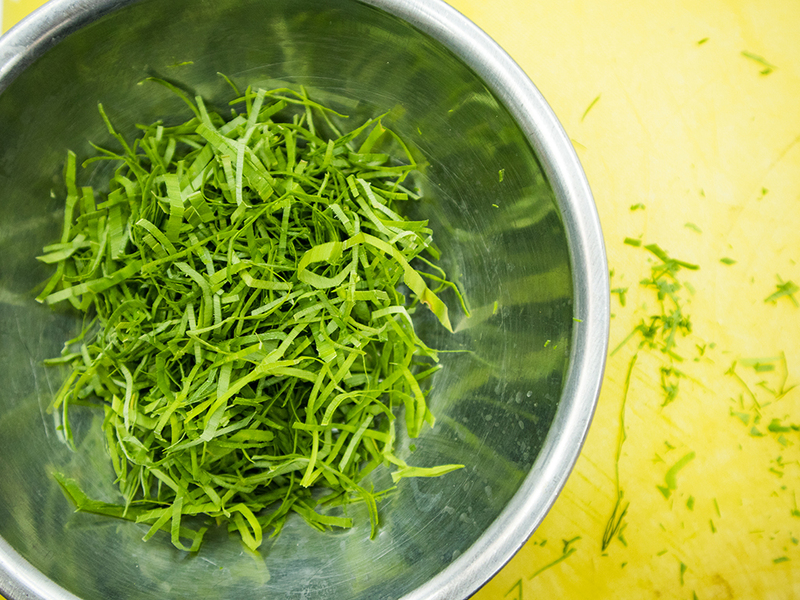 Place lemongrass stalks on top of the pile of greens. Next, we move on to the anchovies. Pour 1 liter of water into the wok. 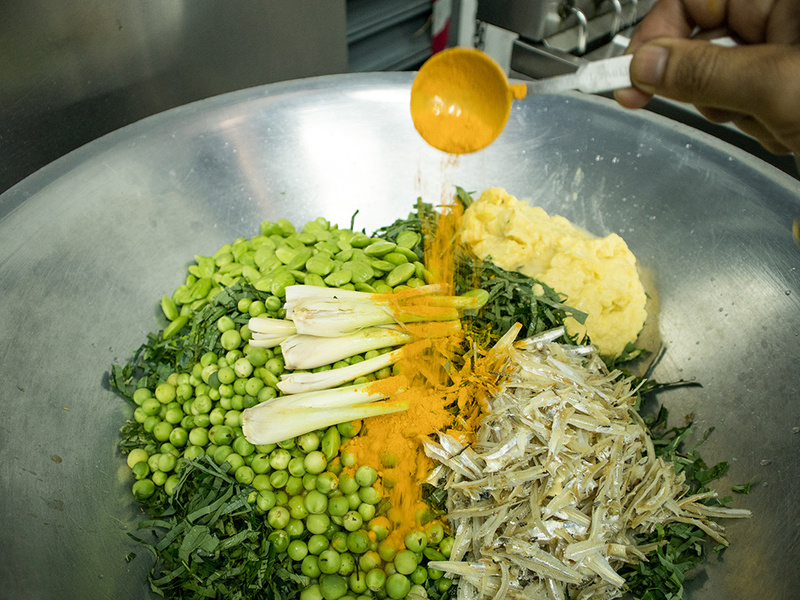 And a table-spoonful of turmeric powder. Finally, pour in the coconut milk. Turn the fire on to low heat and give everything a good stir, making sure the tempoyak completely melts and disintegrates into the dish. You don’t want any clumps. Add tamarind peel, salt and sugar and give everything another stir. 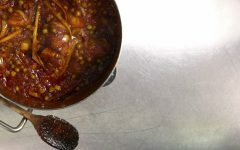 Cook for 1 hour until the leaves are completely wilted and turn a dark olive green. 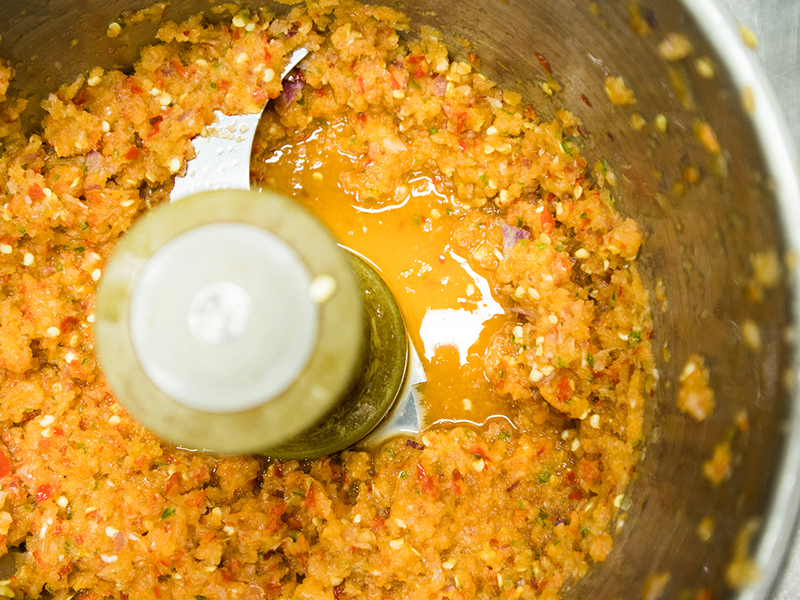 The sauce will also continue to thicken as this dish cooks. 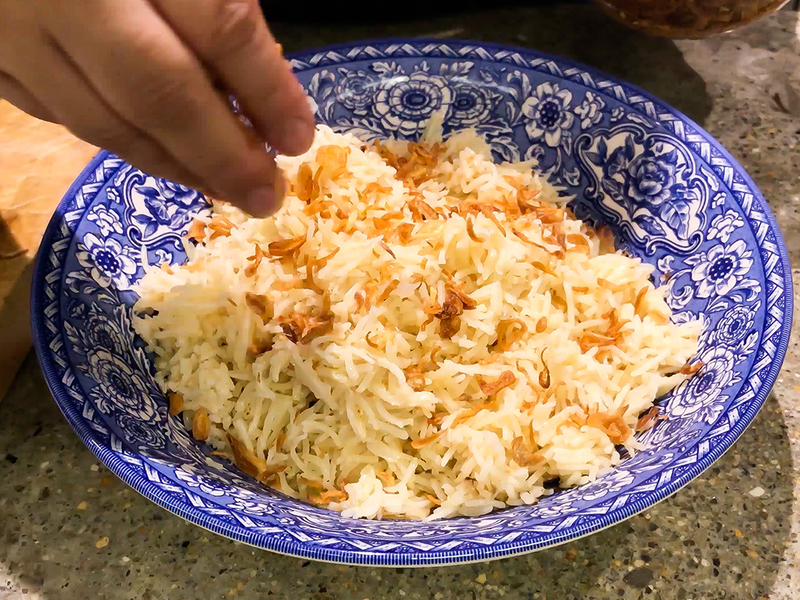 There is no need to keep stirring this dish constantly, just give it a few stirs every 10 minutes or so to ensure nothing sticks to the bottom of the work and burns. Serve with freshly cooked rice while still hot. 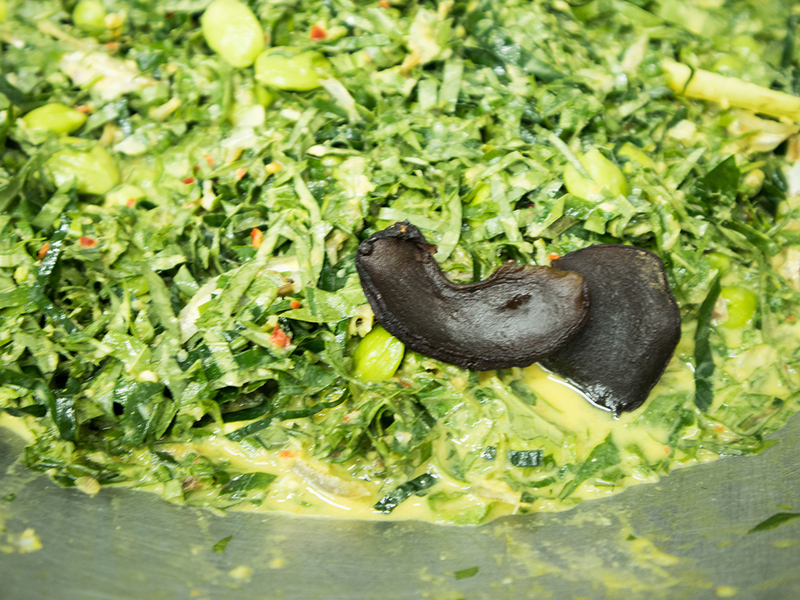 Tempoyak continues to ferment the longer it is kept. If you’re using freshly made tempoyak, you may need to add an extra one or two pieces of tamarind peel as it tends to be sweeter compared to older tempoyak. 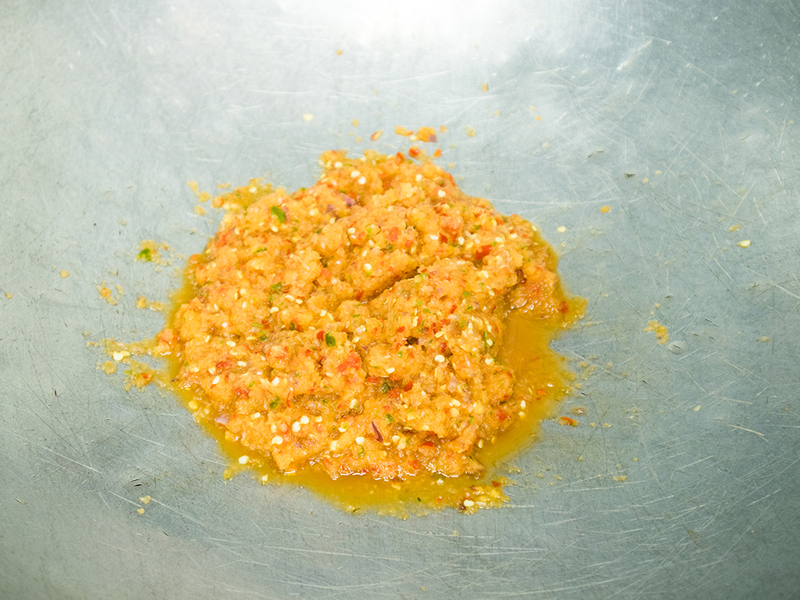 If you’re unsure, give the sauce in your dish a taste after it has cooked for about 15 minutes. 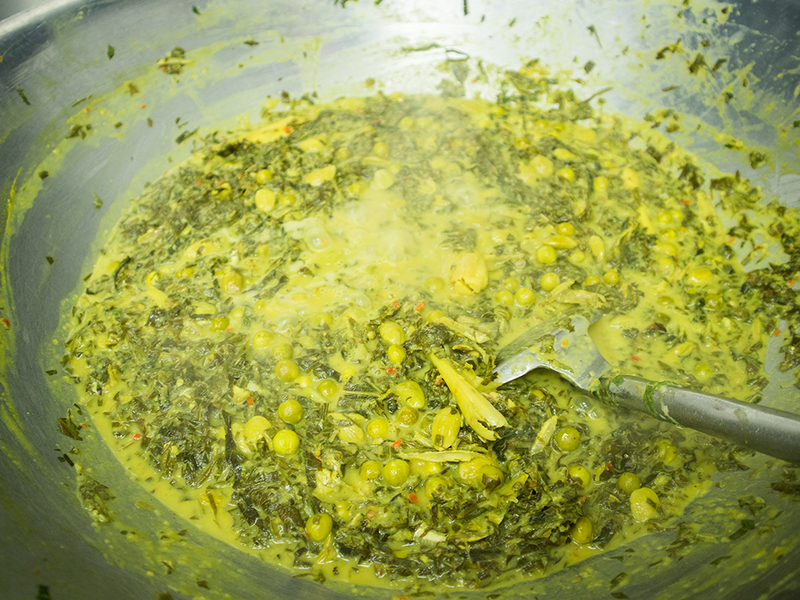 Tapioca shoots and herbs in sambal tempoyak is a sour-sweet dish. Adjust accordingly if necessary. 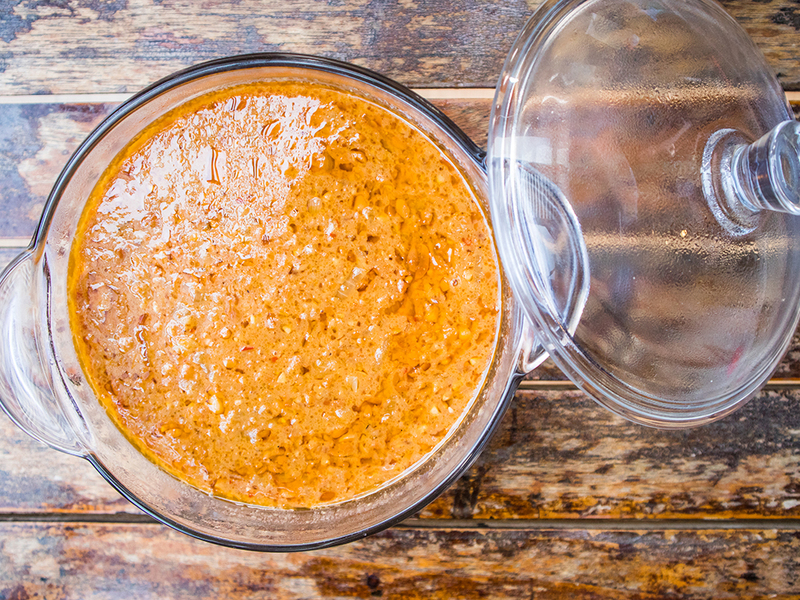 If you have fresh turmeric, use that instead. You’ll need about a 1” square cube of peeled turmeric. Blend it with the onions and cili padi. You do not need to use turmeric powder in this case. 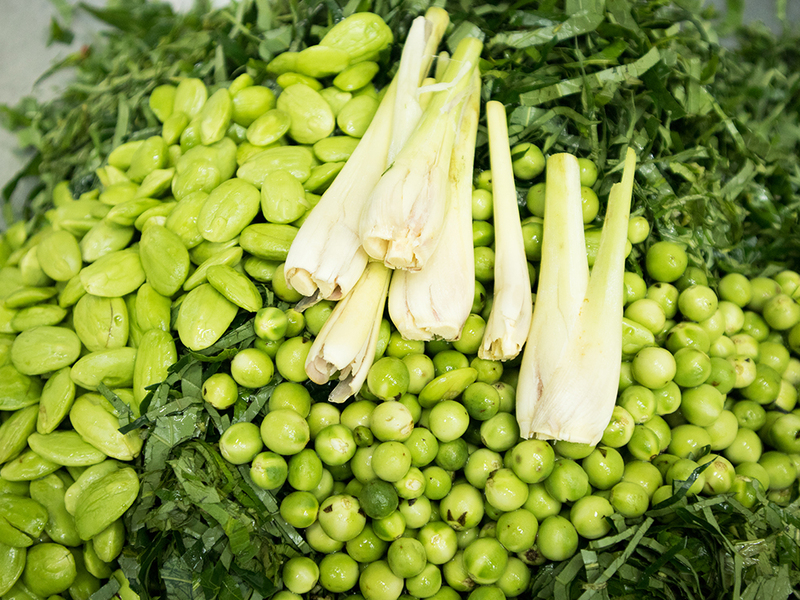 If you’re wondering why we included ‘bunches’ as a form of measurement, that’s because wet markets tend to sell these ingredients in fairly standard bunches. 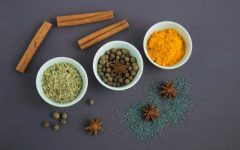 This will make shopping easier for you when you head out to get your ingredients. Always weigh just to be sure though. 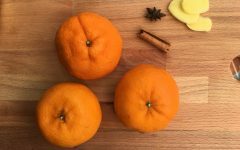 This recipe feeds a lot, so feel free to scale it down as needed. 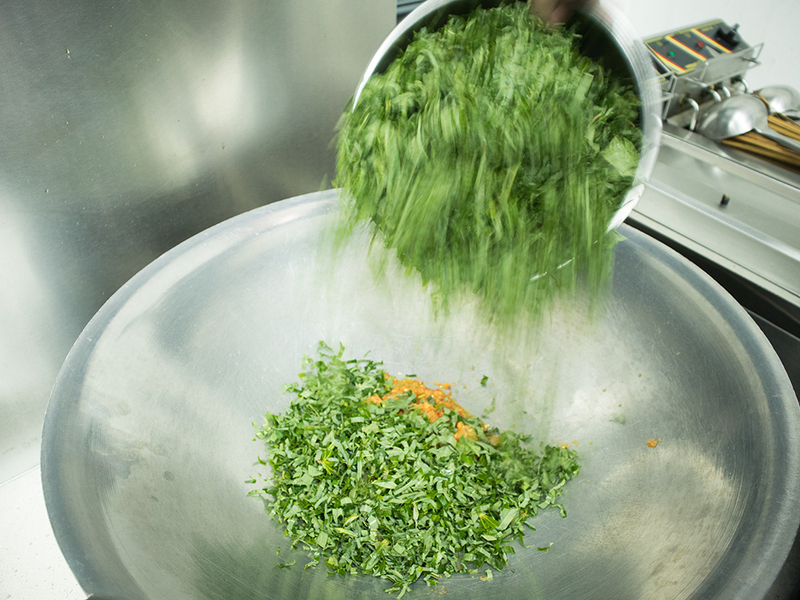 Just remember to keep the ratio of the leaves the same to ensure a balance of flavour. 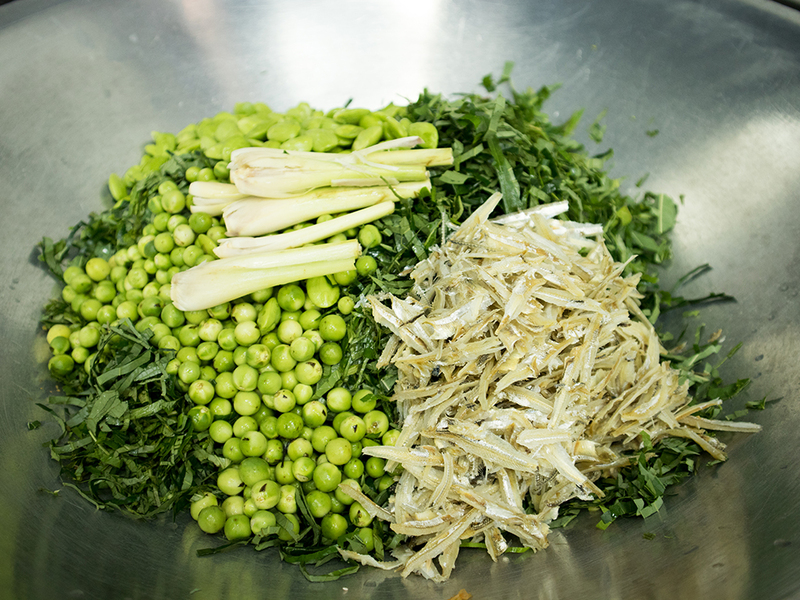 Too much of one or the other can result in a dish that is bitter or too sour. 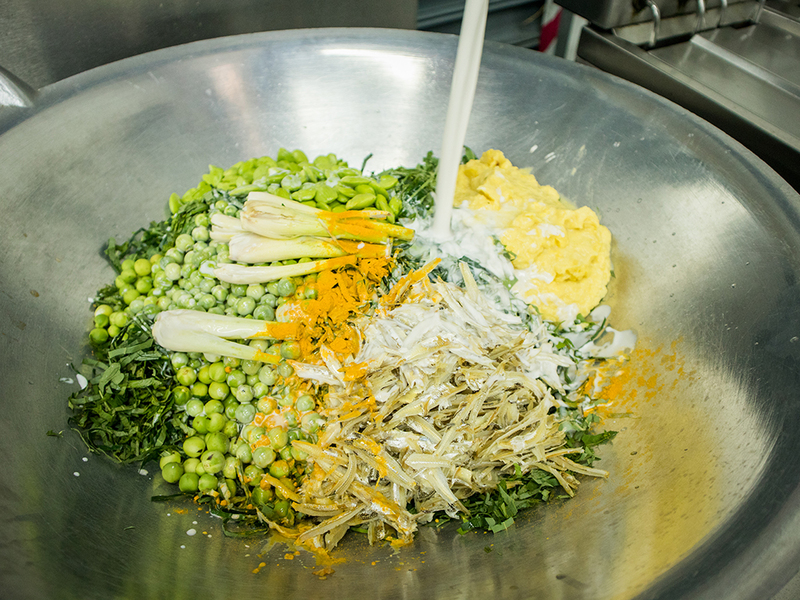 If your stomach is growling and you’re salivating thinking about this dish, it’s time to pay a visit to the wet market to stock up on the ingredients above. 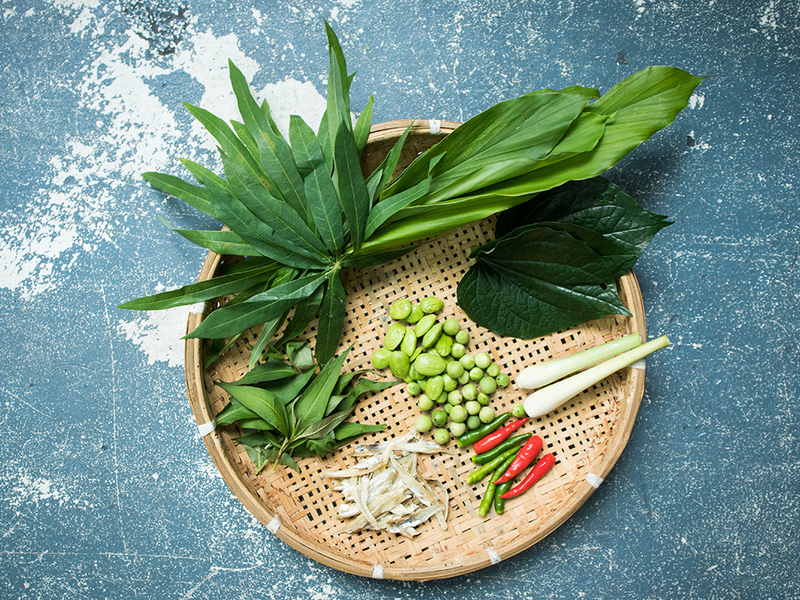 Tapioca shoots and herbs in sambal tempoyak is a treat and a half and is guaranteed to whet your appetite if you like your dishes pungent, rich and aromatic. And if that makcik cerewet asks you for the recipe, just let her know you got it from butterkicap.com! 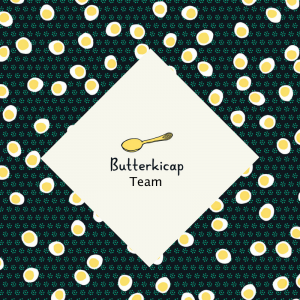 Show us your pictures by tagging it with the #butterkicap hashtag. Enjoy! We're just a small group of friends who love food, culture and Malaysia. 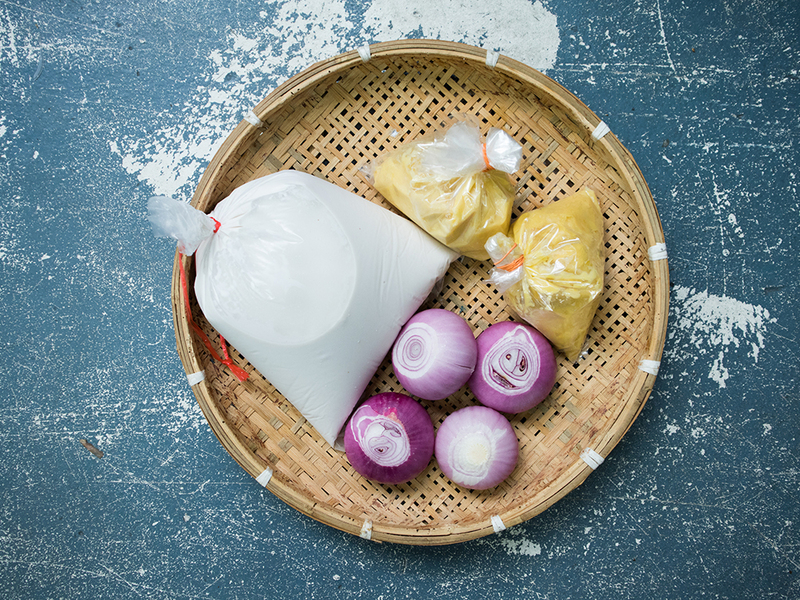 We saw the rise of mediocre food, deteriorating relationships and missed the good old days of Malaysia where food was good, homes were warmer and full of friends and family. 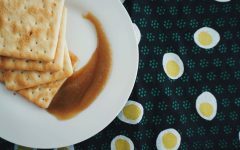 So we rolled up our sleeves, and made Butterkicap with the hope that it will bring people and flavors home. 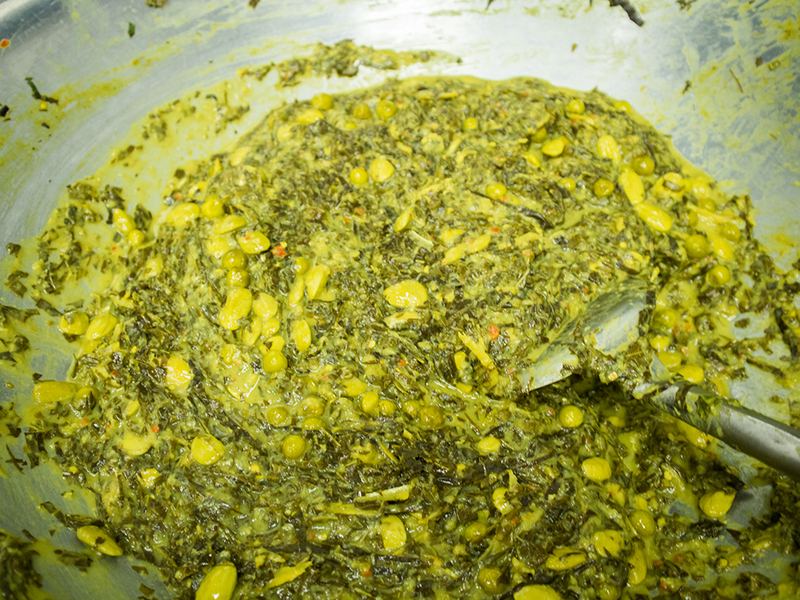 Homemade Kaya Recipe: Eat This and Nothing Else Will Do on Your Toast!